Long before Red Bull hooked us on their compelling storytelling, brands grew engaged followings with entertaining and educational content and reaped the rewards of their trusted reputations. See, content marketing wasn’t invented five years back. Nope, brands have been producing compelling content for at least 100 years. Here are some pioneering examples from decades past to learn from and be inspired by. The modern field known today as content marketing got its start in a field…literally. A field of thick, Illinois clay to be exact, where a struggling blacksmith named John Deere fashioned the answer to many a Midwestern-farmer’s prayers—a steel plow perfectly tailored for slicing through the tough, prairie soil. Six decades later, Deere’s company became the first brand to put storytelling to work, unearthing the fertile soil of a loyal, trusting audience. Though John Deere had been in the ground for nearly a decade, his company (and his inventive spirit) lived on in 1895 when Deere & Company crafted yet another tool to help the struggling farmer. 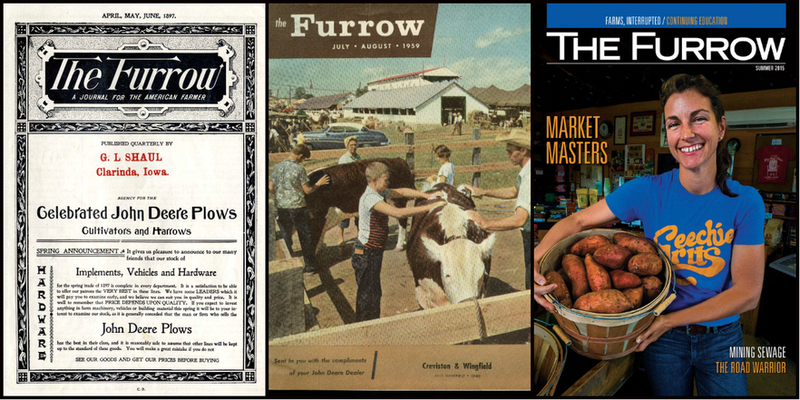 That year John Deere launched, produced and distributed The Furrow—an educational magazine for farmers—free of charge. Instead of sending struggling farmers a catalog of equipment they couldn’t afford, John Deere gave farmers the information they needed to improve their lives and farms. For the last 120 years, The Furrow—the largest farming magazine in the world, reaching 1.5 million farmers across 40 countries in 12 languages—has reminded John Deere’s target audience of the company’s commitment to improving lives, answering nagging questions and solving problems. As a result, John Deere—the most successful brand in agricultural equipment—continues to reap the rewards of their cultural commitment to content marketing. Sixty years ago this month Walt Disney opened the gates to a small corner of his huge imagination—Disneyland—and invited the wide world inside for a gander. Two years later, Walt shared another grand vision: in this case, an updated detailing of the Disney brand for investors. 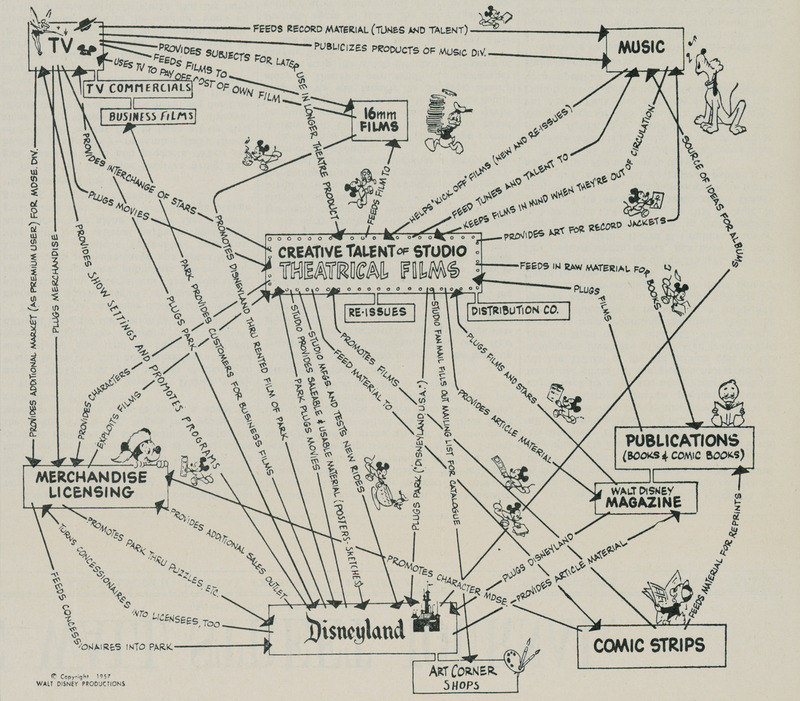 Not surprisingly, the animation mastermind relied on a hand-drawn diagram to sketch out his strategy. These days, we’d call the diagram an infographic—but before your 2015 instincts force you to immediately Buffer this beauty across your social networks, pretend it’s 1957, slow down and savor the timeless value of this content. Disney’s 1957 strategy (proven twice-over as an impressive growth engine for Mickey and Co.) is also a rock-solid recipe for your brand’s future content marketing success. Everything begins with a compelling story—one your target audience can’t possibly resist. Out of this central narrative stems a network of intertwined efforts, each distinct piece playing an important role in the larger story. Like Disney, reuse and repurpose successful concepts within a deliberate model where existing strengths (and well performing content) are leveraged at each step of the customer journey. Before investing in any content effort, map how the idea best fits into your existing content mix, taps into what’s working and helps what isn’t—all in the context of meeting common goals. Disney, perhaps more than any other brand in history, has captured the unbeatable magic of storytelling. Except, there’s nothing magic about it. So, how are you going to use Walt’s magic potion to grow your business? Want a taste of the sweet results of well-executed content marketing that leaves a lasting legacy? Grab a slice of pecan pie and dig in. While the sweet treat feels like something your great, great, great grandmother baked for Thanksgiving—it isn’t. Instead, it’s the tasty result of content marketing from the producer of the pie’s key ingredient. The sweet nectar that holds a pecan pie together is Karo Syrup—a rich, viscous blob that was once corn. 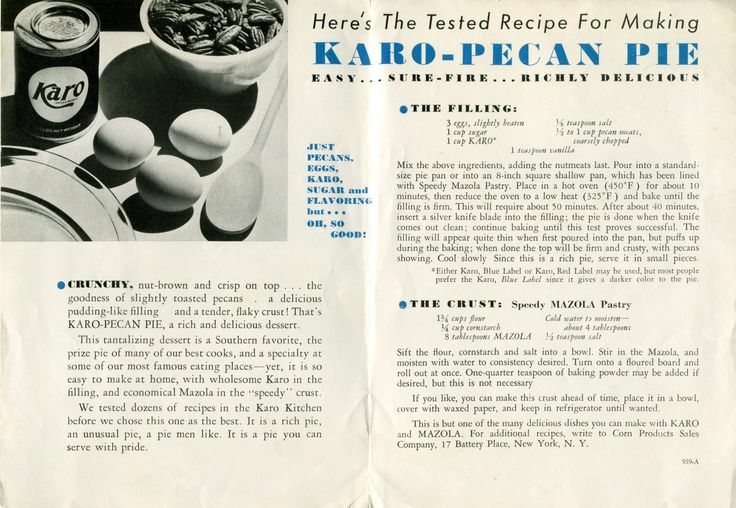 In 1930, the story goes, the wife of a Karo executive discovered an addictive, new use for their signature dark syrup—and her resulting recipe quickly solidified as a holiday favorite. 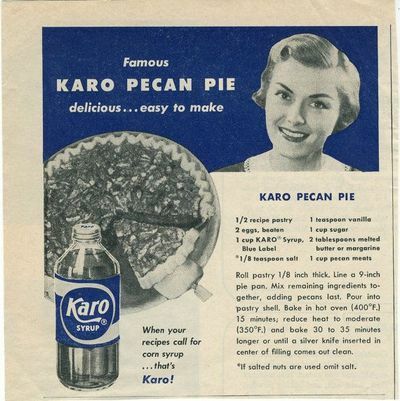 Soon the dessert became synonymous with Karo syrup (sometimes even known as Karo pie) and demand for their products grew alongside their signature piece of content. Without a commitment to content and a strategic process to reach their target audience—Karo would have never found sweet success. It’s fulfilling to know content marketing has propelled brands to new heights, and delivered amazing results, for more than a century. While technology has changed many aspects of content marketing, the mission of finding, connecting and building a trusting audience—who one day will become your customers—remains remarkably similar.